Following transformative combinations in China and the United States, the proposed combination represents a key step in Dentons' pivot to the Pacific Rim as it establishes a greater presence in locations that continue to grow in importance for international commerce. A number of trade groups, agreements and initiatives underline the importance of the Pacific Rim. The recently announced Trans-Pacific Partnership, China’s 21st Century Maritime Silk Road infrastructure program, the efforts to form the ASEAN Economic Community (AEC) by year’s end and the Latin American Pacific Alliance all point to the importance of the region as an engine of trade, finance and manufacturing. “Rodyk’s own forward-looking approach, international outlook, and the desire to provide a comprehensive suite of legal services to clients with cross-border business needs, has led it to this historic opportunity, to become part of the world’s biggest and leading, law firm,” said Philip Jeyaretnam SC, Managing Partner of Rodyk & Davidson LLP. "Both Rodyk & Davidson and Gadens are leading firms in their markets so the benefits to our clients are clear," said Joe Andrew, Global Chairman, Dentons. "In addition, with its position not just as the oldest firm in Singapore but also the leading firm with deep ties to the community, Rodyk is the embodiment of our polycentric, in and of the community approach." "This combination is about capturing talent for the benefit of our clients, and doing so in a way that complements the polycentric approach and innovative spirit on which our firm was built," said Elliott Portnoy, Global Chief Executive Officer, Dentons. "In these firms we recognize a similar ambition to bring clients more, to challenge the accepted and to add value in everything we do." The proposed combination would bring Gadens and Rodyk the ability to follow their clients across the world, and enhances each firm's ability to service their clients from Asia Pacific. The combination would see Gadens’ substantial strengths in Finance, Real Estate and Energy, and Rodyk's significant Litigation and Arbitration, Banking and Finance, Corporate, IP and Technology and Real Estate experience, combining with market-leading global practices at Dentons and 大成's unrivaled position in the China market. It will also bring together firms with established reputations for service excellence and innovation in legal services. "We have been considering opportunities to support Gadens' ability to meet in-bound client needs from Asia Pacific into Australia, as well as supporting our clients with global business interests and the combination with Dentons provides us with an ideal opportunity," said Ian Clarke, Gadens National Chairman. "China has continued to steadily expand its economic and trade relationships with both Australia and Singapore," said Jinquan Xiao, Senior Partner and Head of the Supervising Committee of 大成. "Gadens and Rodyk offer the experience and quality our clients want in these markets that will only continue to grow in importance in China and beyond." Dentons has a comprehensive offering with significant experience that spans 24 sectors and 39 practices. If the combination is approved, Dentons will have more than 80 offices in countries that touch the Pacific Rim alone. The combination with Gadens will enhance offerings in the Banking and Finance, Property and Construction, and Energy and Resources sectors, and delivers significant practice strengths in Corporate Advisory and Tax, Insurance and Insolvency, Intellectual Property and Technology, Dispute Resolution, Government, Employment and Safety, and Planning and Environment. 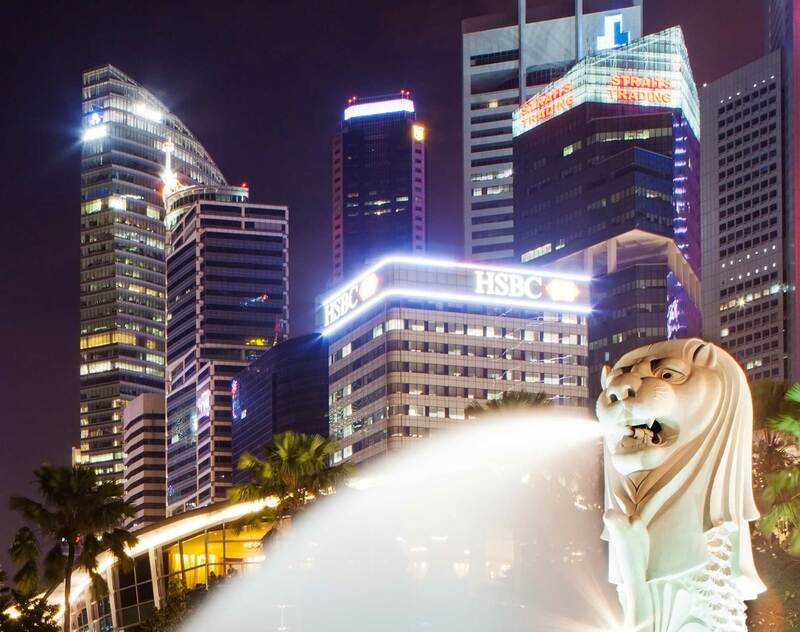 Rodyk brings the depth of Singapore's oldest law practice, and significant depth in the practices of Corporate, Finance, Intellectual Property and Technology, Litigation and Arbitration, and Real Estate. If approved, once the combination with 大成 is effective, the proposed firm's name will be Dentons in English and all other languages, and 大成 in Chinese. For further information and details regarding the combination, visit www.dentonscombination.com. Dentons is a global law firm driven to provide a competitive edge in an increasingly complex and interconnected world. A top 20 firm on the Acritas 2015 Global Elite Brand Index, Dentons is committed to challenging the status quo in delivering consistent and uncompromising quality in new and inventive ways. Dentons' clients now benefit from 3,000 lawyers and professionals in more than 80 locations spanning 50-plus countries. With a legacy of legal experience that dates back to 1742 and builds on the strengths of our foundational firms-Salans, Fraser Milner Casgrain (FMC), SNR Denton and McKenna Long & Aldridge-the Firm serves the local, regional and global needs of private and public clients. On January 27, 2015, the Firm announced its intent to combine with the Chinese firm 大成. The combination will officially be launched in 2015. Upon launch, the Firm will offer clients the support of approximately 6,600 lawyers operating from more than 125 locations and serving 50+ countries. Trusted since 1861, Rodyk & Davidson LLP is Singapore's first law firm and one of the largest full service law firms with a strong regional practice delivering international client service standards. Rodyk's team of over 200 lawyers serves clients in five core practice groups: Corporate, Finance, Intellectual Property & Technology, Litigation & Arbitration and Real Estate. Rodyk was transformed to the present day firm after the merger in 2002 with HelenYeo & Partners. Its proud record of acting in all the significant moments of Singapore's history continues today. In the past decade, Rodyk has acted in the largest Chinese Initial Public Offering on the Singapore Stock Exchange, for Yangzijiang Shipbuilding, which raised S$1 billion; for the main contractor in the government inquiry, on contractual and insurance claims that followed the Mass Rapid Transit tunnel collapse at Nicoll Highway; for Singapore's world-renowned research agency, A*Star, in the internationally high profile public inquiry following the suicide of an American researcher; in the largest en-bloc real estate transaction to-date, priced at $1.39 billion; and in Singapore Airlines' two major aviation disasters. Internationally, we enjoy exclusive memberships in the World Law Group and the Pacific Rim Advisory Council, offering our clients seamless and cost effective services in more than 100 cities spanning over 60 countries. For more information, please visit www.rodyk.com.